Tips for applying for an IRD Number in New Zealand. Before you can start working in New Zealand, you need to get yourself an IRD number. This is the unique tax number given to you by the Inland Revenue Department in New Zealand so that you can pay the correct taxes as you work. Without an IRD number, you could be paying up to 46.7% of your wage on taxes. All in all, get an IRD number as soon as possible when arriving in New Zealand, if you intend to work while you are here. Since October 1 2017, there has been some big changes in the Inland Revenue Department, changing the supporting documents and information that working holidaymakers and backpackers on a work visa need to provide with their application. This is an up-to-date guide on how to apply for your IRD number in New Zealand if you are from overseas. For more information on how the New Zealand tax system works, check out New Zealand work tax system: work and pay your taxes! Open a fully functional New Zealand bank account. Check out our article on How to Open a New Zealand Bank Account. All of this is detailed below! As of 2017, IRD has introduced an online service for work visa holders, that includes the working holiday visa, to apply for their IRD number online! Easy! All you need is access to the Internet, your passport, your Immigration New Zealand Application Number (see where to find it here), your tax identification number from your home country (see section below), and your New Zealand bank account (see section below). Note that a due diligence check is only needed if you cannot provide evidence of a New Zealand bank account, for instance, if you are applying for an IRD number from overseas. We recommend waiting until you are in New Zealand and have a New Zealand bank account before applying for an IRD Number to make the process easier. However, should you want to go down the “customer due diligence” route, then follow the steps below. Start applying by filling out the details on the IRD website. If you can’t apply online you’ll need to fill out the IR742 application form. The form tells you want information you need to attach and what to do next. In order for your IRD application to be successful, you will need proof of fully functional New Zealand bank account. This could be a letter from the bank or a bank statement showing both deposits and withdrawals. An attached copy of a New Zealand bank statement with your name, bank account number, and showing at least one deposit and one withdrawal of different amounts. Alternatively, get a letter from your bank stating your name, bank account number, and clearly stating that your “bank account is fully functional”, or “it is an active bank account”, or “the bank account has had due diligence completed in accordance with the Anti-Money Laundering and Countering Financing of Terrorism Act 2009”. If you need to communicate what you need from your bank, print out the IR984 form and give it to your bank. It has clear instructions on there of what you need for your IRD application. If you have the equivalent of an IRD number in another country (i.e. your tax number at home), then you will need to provide this for the IRD number application. If you do not have a tax number from home, you will need to state why. The taxpayer identification number (TIN) may have a different name in different countries, for example, national identity, social security, personal or tax number. Print out a copy of the tax number official document from your home country (and any other country/jurisdiction). It’s most likely that you are applying for an IRD number because you want to work in New Zealand. Your Immigration NZ Application number is all IRD needs if you are applying online. If applying through a paper form, tick the option in Question 8 stating “For employment in New Zealand” and attach a copy of either your work visa in New Zealand or a letter of employment on the employer’s letterhead. Don’t worry, you don’t need an employment offer to apply for an IRD number as long as you have a New Zealand bank account. You can search for jobs after you have got your IRD number by following our advice in How to Quickly Find a Job in New Zealand. If you cannot provide evidence that you have a fully functional bank account in New Zealand then you have the option to provide evidence that you are a customer due diligence. This basically shows that you are a customer of, or will become a customer of, a New Zealand reporting entity such as a New Zealand bank. Some people may want to choose this evidence option when applying for an IRD Number prior to arriving in New Zealand. 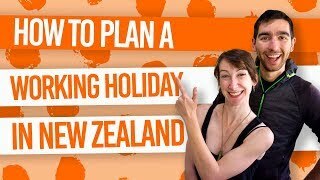 However, in most cases, banks do not allow people with a working holiday visa to open a bank account prior to arriving in New Zealand, therefore, will not allow working holidaymakers to become a customer until they are in New Zealand. If you consider yourself as having a special case, perhaps with a job offer already received before arriving in New Zealand, then contact your chosen bank directly to see if they will allow you to become a customer prior to arrival. If accepted, you can send them the IR997 Form which they must fill, sign and stamp, to be sent off as evidence of customer due diligence with your IRD application form. How long does it take to receive your IRD Number? Once you have filled out your applications and presented all the information and evidence required, the timeframe for receiving your IRD number depends on what method you chose to apply for your IRD number, as well as the options you chose on how you want to receive your IRD number. If you apply online, give all the information required by IRD, and choose to get your IRD number sent to you by email or text message, then it should take two working days to receive your IRD number. If you choose to receive your IRD number through the mail, then it may take up to a further 10 days to reach you. If you apply using a paper form, then expect similar timeframes to those mentioned above, but you will need to factor in the postage time – so it could be a further two days.